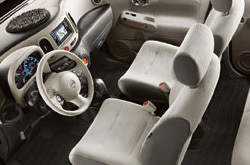 You can find a complete 2013 Nissan Cube review below the video. There is a reason Reliable Nissan is the well-known Nissan retailer in Albuquerque. We provide you with Cube reviews by the best writers in Albuquerque. Everything perspective car buyers need to make cognizant decisions is right here - each article is full to the hilt with [helpful facts and specs - all at your fingertips. As always, Reliable Nissan is available seven days a week to answer any questions you might have. Don't hesitate to call and speak with a representative. 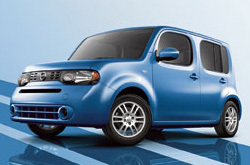 Check out the 2013 Nissan Cube head-to-head with versus similar autos like the 2013 Honda Fit, Scion xB and the Kia Soul, and you will discover that the 2013 Cube wins over those vehicles in loads areas. Scan the reasons see why! Nissan Cube owners won't get the same exceptional factory-trained Nissan mechanics and trustworthy Nissan parts at a conglomerate service company. But at our Albuquerque dealership you'll benefit from this every time you visit, along with the reassurance that comes with acquiring a 12-month service warranty. If you disregard maintaining your Cube, its endurance could be damaged, so take it to Reliable Nissan's service center in Albuquerque. We will call the shots on a job as manageable as an oil change, or complete intricate auto repairs and service like timing belt replacements, strut and shock repairs and Nissan transmission rebuilds. What's more you can look forward to honest prices on all work, as well as professional service every time you visit Reliable Nissan. To find service coupons, click the link below right this instant!